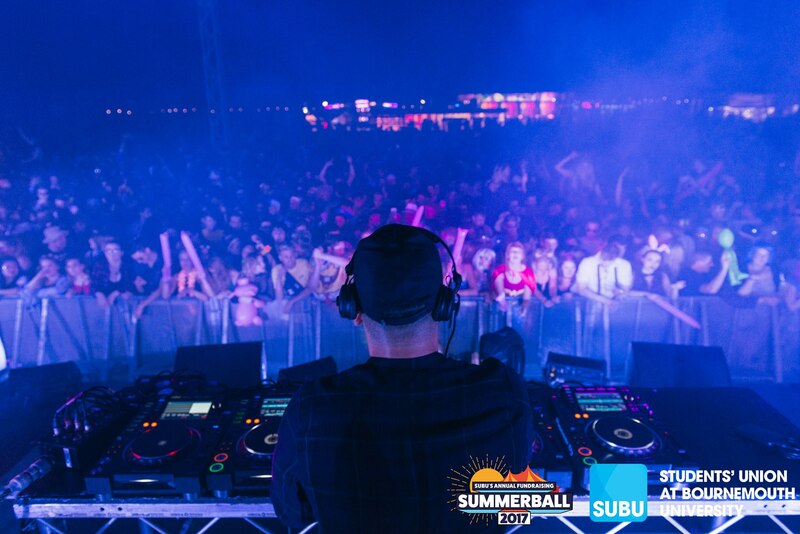 The UK’s best university summer ball returned to Bournemouth at the beginning of June, playing host to 7,500 excitable students and an impressive roster of DJs and musicians. The fancy dress filled day festival is always a colourful and exciting affair with Bournemouth University pulling out all the stops for the 2017 edition of the event. From bumble bees to army soldiers, every possible fancy dress idea was covered creating a unique vibe. Not to mention the carefully selected tents hosted by a number of the town’s top club night promoters; Foreverland and Applebum to name just two. Even though the event was sold out, entry was quick, easy and organised with minimal fuss. With Bestival moving to Dorset this September, the inclusion of the Bestival cocktail bus was a nice touch, giving punters more of a drink choice than the standard festival bar. A selection of food choices and fairground rides made sure that the true festival atmosphere was achieved. Looking at the scale of this event it’s hard to believe this is just a university party and not a fully fledged commercial event. After playing at Suddenly Funk at Bournemouth’s Old Fire Station, multi-instrumentalist Youngr took to the stage. The producer is multi-talented, playing drums, bass, guitar and synths. As well as original tracks, Youngr remixed and drummed along to some of the moment’s most popular pop songs, throwing in his own instrumental pieces into the tracks. 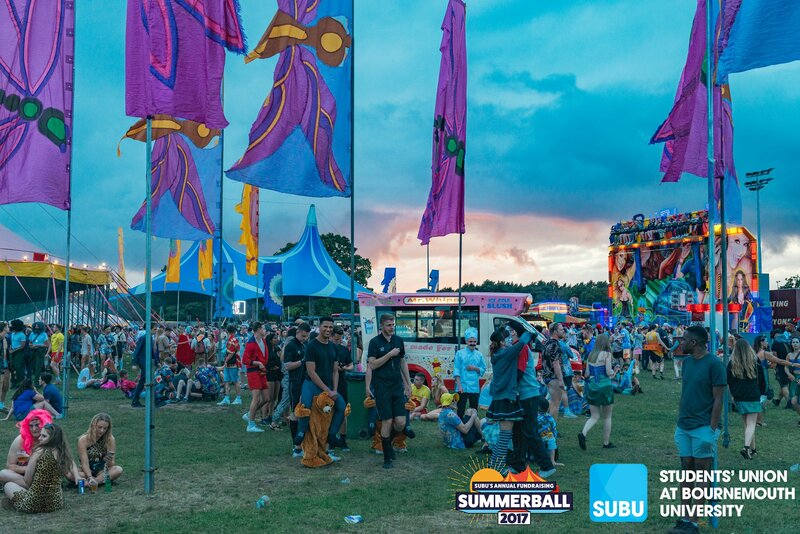 Youngr makes for an exciting addition to any festival lineup, and his performance at Summer Ball started the festival experience with a bang. Indie band Black Honey took our fancy next, giving a break from the wealth of dance music on offer. Although the four-pierce are yet to release their debut album, they have been making waves within the indie scene. Black Honey have already had a number of high profiles gigs, and this is no surprise when you see them gracefully work through an impressive number of their own upbeat, pop-lead indie tracks. These are a group that are definitely ones to look put for in the near future. 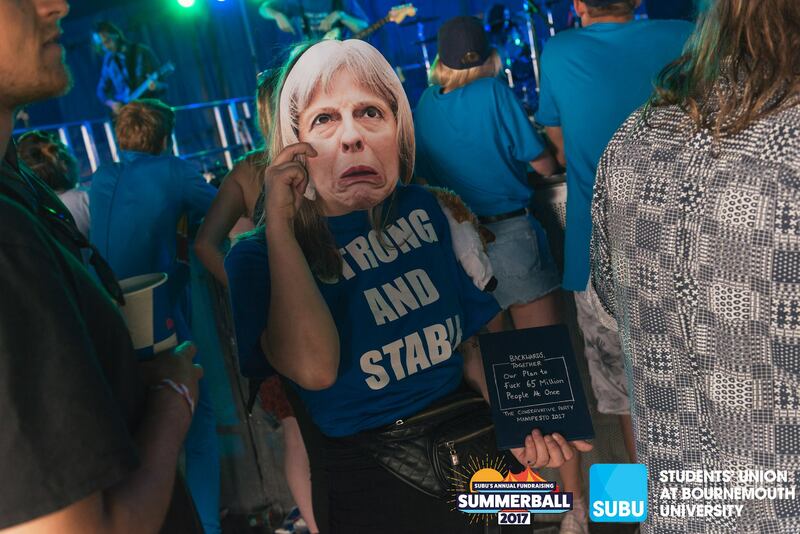 The ever popular bassline kingpins My Nu Leng returned to Bournemouth once more to entertain this year’s Summer Ball. The Bristol duo have been nonstop hard at work for the past two years, creating some of the most well-known bass tracks ever made and touring all of the UK. My Nu Leng’s genre-bending musical styles help place them as a top versatile booking for any event. This set was much more drum & bass lead than a classic Leng set, but it did the job, throwing in some classic original tracks and Dread MC hyping the crowd. 2017’s headliners were mighty drum & bass legends Chase & Status. The pair played to a packed out tent, providing the last entertainment for a day of mad partying. 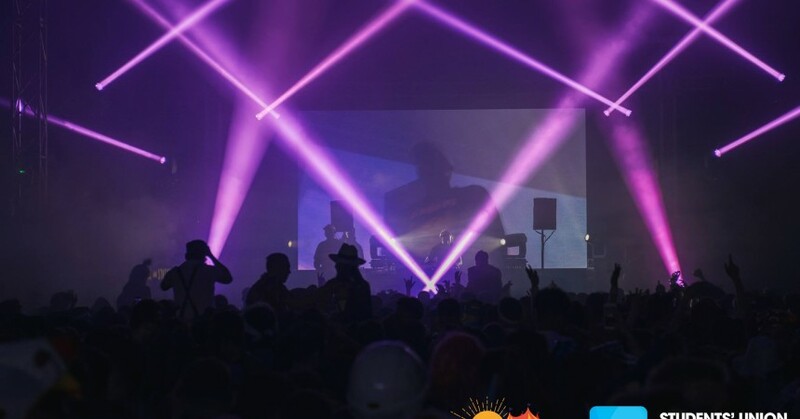 The electric atmosphere of a jump up dnb set was present with Chase & Status throwing out a classic array of drum & bass bangers; most notably ‘Bricks Don’t Roll’ by Hazard and ‘Afterglow’ by Wilkinson. The London duo was a perfect booking to close this year’s event, keeping the energy levels high until the very end. Impressive lineup of DJs and bands. Variety of drinks including the Bestival cocktail bus. A true party vibe and fancy dress participation. No use of card payments at the bar; queuing twice, once to get cash and again at the bar.